ADVI is pronounced "86." "AD" like "Anno Domini" or- the first year after BC. There was no "Year 0" so "AD 1" would have been used instead. "VI" is the Roman Numeral "6." Put them together and you get "AD SIX" - It's meant to be a play on words- a riddle if you will. Since ADVI's birthday is on the first day of the first month of 86- the name is more or less a tribute to his day of birth. Born on January 1, 1986 in New Haven, Connecticut- Jacob Holguin spent the first 20 years of his life influenced by the Electronic Soundscape of the East Coast. He now resides in sunny California, relentlessly pursuing his dreams as a DJ as well as connecting people and dance floors together with his love for music. Orbital's "Halcyon" was the first Electronic Track to convert his musical preferences back in 1995. 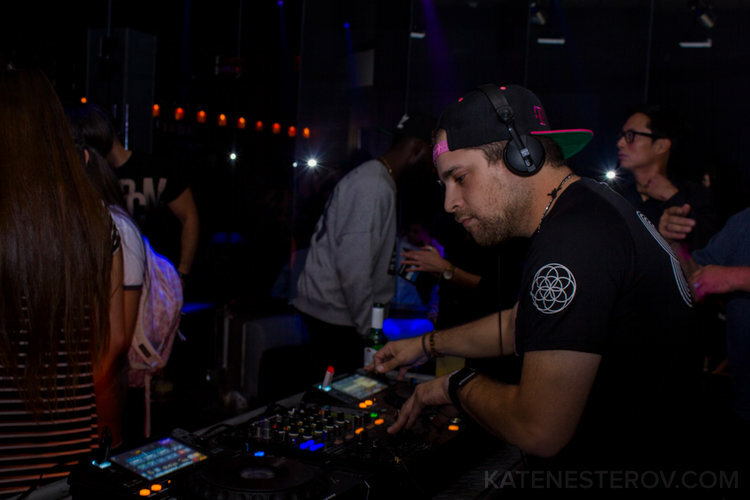 His musical style and taste has been primarily influenced by the likes of Pete Tong, Mark Knight, Carl Cox, Eric Prydz, Chocolate Puma, Laidback Luke, Nora en Pure and Sharam Jey to name several. ADVI is an active Los Angeles DJ and has performed at venues such as Avalon Nightclub, Exchange LA, Sutra Nightclub, Heat Nightclub, Create Nightclub, OHM Nightclub, Genesis Nightclub, Supper Club, Sage Lounge, Zen Nightclub, Joseph's of Hollywood, and The Belasco Theater just to name a few. ADVI is on a mission to spread Good Vibes, House Music and Positive Energy across the land.. one dance floor at a time. Support the movement!